Mariachi Cobre’s Roberto J. Martínez will join the Mariachi Heritage Foundation (MHF) to oversee curriculum development and implementation for new mariachi program serving Chicago Public Schools (CPS). “We’re extremely excited to welcome Roberto to Chicago. He is a legend in the mariachi world, but more importantly, Roberto is a true educator and advocate of music education,” says MHF Founder and President Cesar Maldonado. Martínez was previously a Cast Member at Walt Disney World’s Epcot Theme Park in Orlando. His position as a front-line musician with the renowned Mariachi Cobre has given him the opportunity to share Mexico’s folkloric music to millions of guests from around the world. 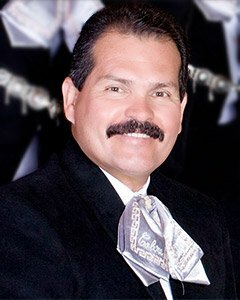 Martínez has been a member of Mariachi Cobre since 1978. His mariachi roots date back to 1970 as a member of Tucson’s community youth mariachi program “Los Changuitos Feos.” He received a mariachi scholarship and attended the University of Arizona where he completed a Bachelor of Arts Degree in Secondary Education in 1981. The Mariachi Heritage Foundation was founded in 2013 to expand mariachi music education in Chicago Public Schools. The following schools are participating in the 2014-2015 program: Joseph E. Gary Elementary, Nathan S. Davis Elementary, Edward N. Hurley Fine and Performing Arts Magnet Cluster, Richard Edwards Elementary, and Calmeca Academy of Fine Arts and Dual Language.